Need some spring break inspiration for your family? Add Italy to the top of your list. Why will the kids like it? The real question is: What won’t the kids like about Italy? There’s every kid-pleasing food done to perfection (pizza, pasta, gelato), sights right out of a movie such as the Leaning Tower of Pisa and the Coliseum, and, of course, the relaxing dolce de far niente (the joy of doing nothing) that pervades every aspect of Italian life. Throw in inexpensive flights from the U.S. (look into routes that land in Milan, a business center that attracts multiple carriers and offers great prices), modern and convenient train travel to traverse the country, and a great exchange rate, and it’s hard to imagine yourself visiting anywhere else when your kids have a school break this spring. 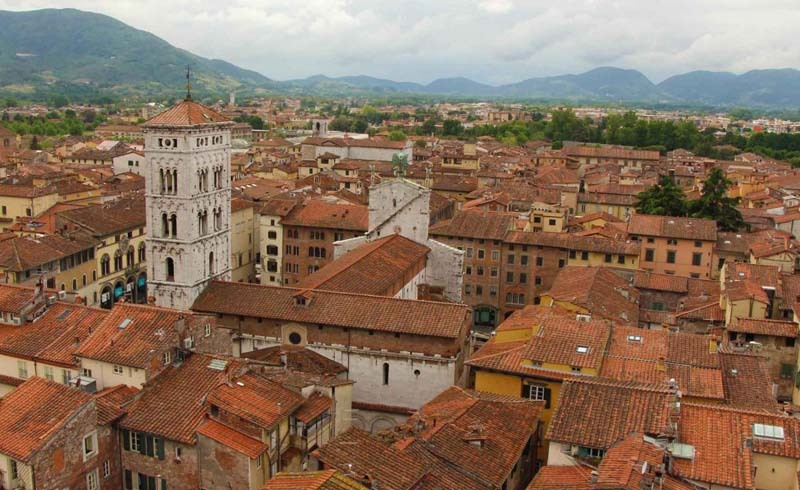 However, Italy doesn’t have to be all traditional sights, museums, and attractions. 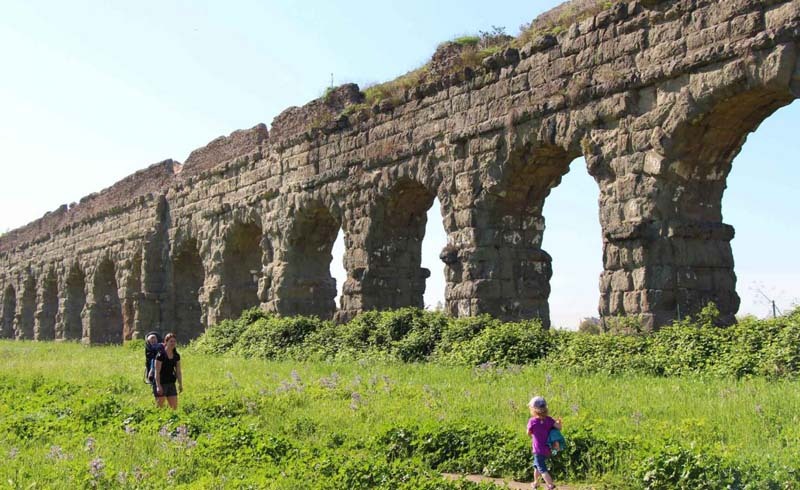 For active families who love to get off the beaten track, Italy has lots to offer. Here’s a look at five top activities for Spring Break—Italian-Style. There’s water, water everywhere in this jewel-box city, and although the gondoliers that ply the canals may be Venice’s best-known tourist attraction, there’s no reason to leave the boating to someone else. Active families can learn how to row their own boat, so to speak, kayaking through the small back waterways of the car-free city. You’ll get a unique perspective of the city’s marvelous palazzos and bridges while becoming part of the waterways. Can’t miss eats: While you’re in Venice, feed the kids the city’s beloved “chichetti,” small bites such as fried olives and ham and cheese croquettes usually ordered as pre-dinner nibbles with drinks, perfect for little hands. Walking outside: Bo-ring. Climbing inside the dome of St. Peter’s Basilica, Italy’s largest church: WAY cool! Skip the traditional tours of Vatican City, and lace up your walking shoes for this 350-step, indoor adventure. Bonus: the pigeon’s-eye view of all of Rome from the top. Can’t miss eats: Rome’s long, flat pizza, sold by the kilo, and topped with everything from potatoes to sundried tomatoes. This commercial center is surprisingly family-friendly, with trattorias, gelato stands, and colorful and exciting shopping—not to mention the opportunity to view Leonardo da Vinci’s Last Supper. For adventure, though, travel 45 minutes south of the city to beautiful Lake Como to try canyoning—a combination of climbing, jumping into streams, and sliding along a watery path down a gorge (although it’s a BIG adrenaline rush, kids as young as nine can participate). Can’t miss eats: "Apertivo” hour (roughly 5:00pm to 7:00pm) is like happy hour plus free (and delicious) food. It's the tradition of serving early evening snacks after work hours but before dinner. Purchase a single drink, and you’ll be treated to carbs like pasta, pizza, and sandwiches, all complimentary at spots throughout the city. As a rule, parents usually love wandering through the Renaissance masterpieces in the Uffizi and the Accademia museums, but kids? Not so much. (Although the statue of David at the latter is hard to look away from.) Reward them for all of their time keeping their voices down in marble museums by taking them where they can scream at the top of their lungs: at a Fiorentina soccer game at the Stadio Comunale Franchi. Can’t miss eats: Gelato, the creamy, decadent, frozen delight, was invented in Florence. Enough said. Go deep down to explore Underground Naples, where you’ll discover secret doors, Roman aqueducts, catacombs, and creepy, dark corridors beneath the city. Think about it. What kid could wouldn’t love all that mystery? Can’t miss eats: You must taste the city's margherita pizza. The simple, wood-fired dough topped with crushed tomatoes, buffalo mozzarella, and fresh basil is sure to be a highlight of the trip for both you and the little ones. Have you been to Italy with your family? What were some of your favorite spots? Share your two cents in the comments!